Monday Morning Off to work I go – Where Is My Teaspoon? Happy Monday everyone! Today is a good day for me as I am off to London to set up an event I do for work. I’m actually really excited as this is my 2nd year managing the events for us and my 3rd year being a part of it so am excited to see it come together and to get out of the office. I love this side of my job as it allows me to own a project from beginning to end and actually see the work come to life and hopefully see success! Today I’m getting the train to London with one of my collegues (hot chocolate on the train buddies!) and getting to the event to build up our stand. Basically I just make sure everything looks on brand and take out stock and dress the stand up a bit. The show is on Tuesday and Wednesday for the sales team then and I know they’re excited for it too. I’m just eating a quick snack now before I set off for the day and this is my go to breakfast when I want something that is wholesome but still feels indulgent. I’m not sure if I’ve mentioned my LOVE for Almond Butter on Where Is My Teaspoon before? 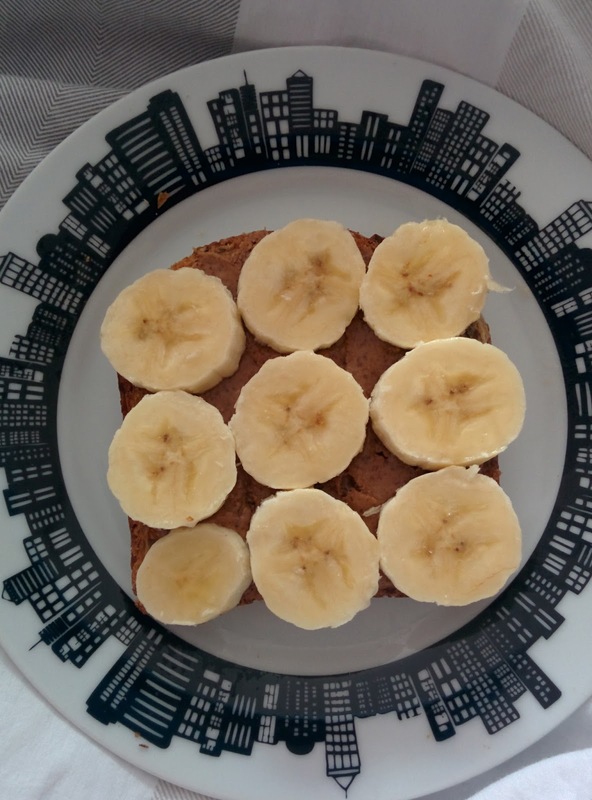 I am obsessed with it and pairing it with banana takes it to a whole other level – yum! Previous Post Banana Bread Recipe.